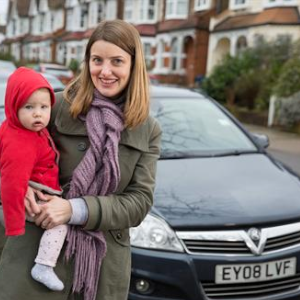 New research released today from LV=, the UK’s third largest car insurer, reveals that an increased demand for driving in modern life is behind a surge in two-car families. With official figures showing a growth of 541,600 two-car households year-on-year, nearly a quarter (24%) of drivers revealed to LV= that they are doing more driving than they were 12 months ago. What’s more, two-car families now outweigh two-child families by nearly two million. Work requirements are the main reason, with two in five (40%) clocking up the miles thanks to a longer commute and nearly a third (30%) spending more time on the road for work purposes. It’s also the top reason for people to purchase a second car (37%). The research also reveals that second cars have become an increasingly important part of modern family life. Family journeys are the second most popular reason for purchasing a second car (30%), and nearly a quarter (24%) of people say taking children to and from new hobbies has driven up this year’s mileage. Around one in seven (15%) also regularly use it for the school run. To cater to these trends, LV= has become the latest insurer to provide a multi car product for drivers. Despite the UK now having more than seven million two-car households, fewer than one in five (18%) of those surveyed said they had taken advantage of the potential savings multi-car insurance offers, even though more than 80% said they’d consider it. This could mean households are missing out on potential savings of around £400 with LV= data showing that 10% of families taking out a multi car policy saw a saving of more than 40% on their insurance for at least one of their vehicles compared to if they had bought two single policies. Despite the rising reliance on second cars, LV=’s research also suggests they are under-appreciated and the unsung hero of modern lifestyles. On average, they run around 844 miles per month with more than half (51%) helping out with the weekly shop and more than a quarter (26%) doing the daily commute. In fact, the second-car economy is now worth £25.7 billion through buying, maintaining and insuring these vehicles. However, despite the significant role they play within family life, second cars are sadly less likely to be treated to the glamorous trips their main car counterparts get to enjoy. People are much more likely to take their main car on long trips away (58% versus 24%) and it’s even less likely to see the coast with fewer than one in ten (9%) taking it to the beach (versus 20% of main cars). To find out more about LV= multi car insurance, visit https://www.lv.com/car-insurance/multi-car-insurance.